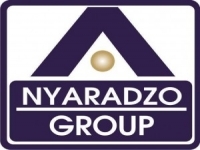 The Nyaradzo Group is made up of three companies Nyaradzo Life Assurance Company, Calundike Exports, and Eureka Insurance Brokers. Nyaradzo Life Assurance Company operates through two divisions Life Assurance and Funeral Services. The group provides services such as Life Assurance, Funeral Services, Short-term Insurance, Event Management Services. We also Manufacturer Furniture and Shop fitting.